A flying fish swims below the surface in the Gulf Stream late at night, offshore from Palm Beach, Florida, USA. Photo taken by Michael Patrick O'Neill, the third prize singles in Nature category of the 61st World Press Photo Contest. 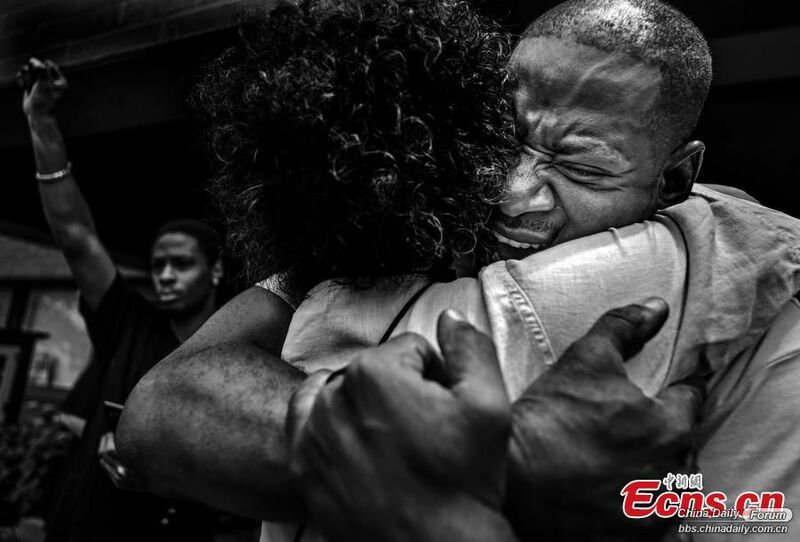 John Thompson is embraced in St Anthony Village, Minnesota, USA, after speaking out at a memorial rally for his close friend Philando Castile, June 18, 2017, two days after police officer Jeronimo Yanez was acquitted of all charges in the shooting of Castile. Photo taken by Richard Tsong-Taatarii, second prize singles in General News category. 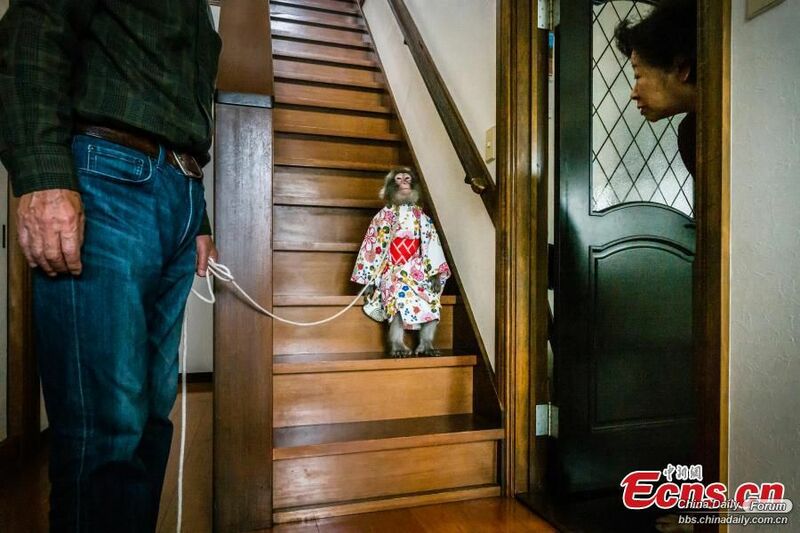 Mr Amakaki (left) gets ready to babysit Sakura, a macaque owned by his neighbor Kaoru Amagai, in ?ta-shi, Gunma, central Japan, October 2, 2017. Photo taken by Jasper Doest, second prize stories in Nature category. 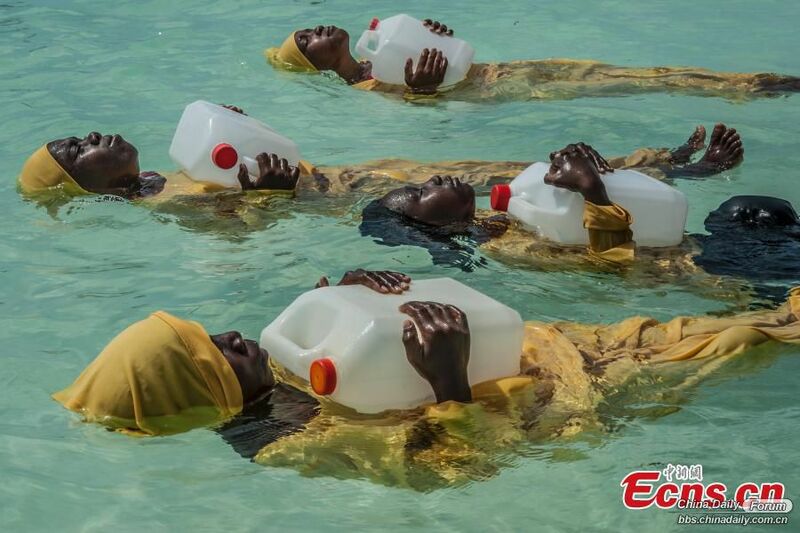 Students from the Kijini Primary School learn to swim and perform rescues, in the Indian Ocean, off Muyuni Beach, Zanzibar. Photo taken by Anna Boyiazis, second prize stories in People category. 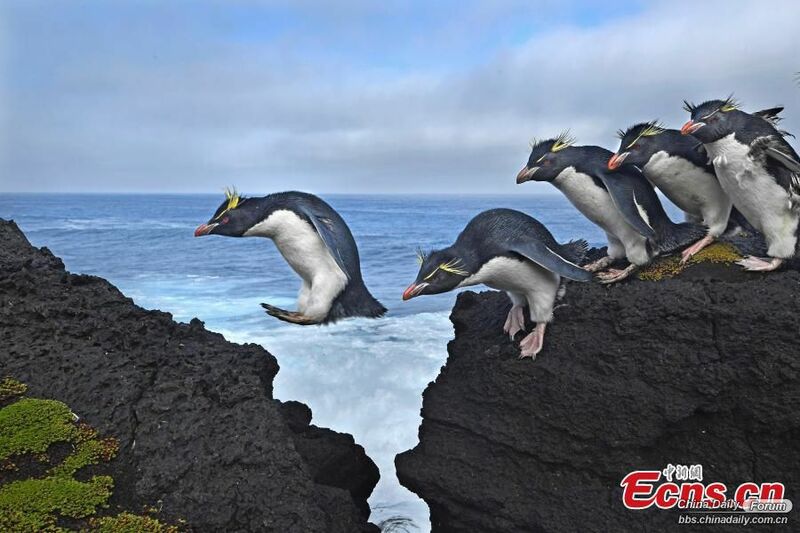 Rockhopper penguins live up to their name as they navigate the rugged coastline of Marion Island, a South African Antarctic Territory in the Indian Ocean, April 18, 2017. Photo taken by Thomas P. Peschak, second prize singles in Nature category. Two brothers live in a traditional yaodong ('kiln cave'), carved into a hillside on the Loess Plateau in central China, Nov. 11, 2017. The earth-lined walls have good insulating properties, enabling residents to survive cold winters. 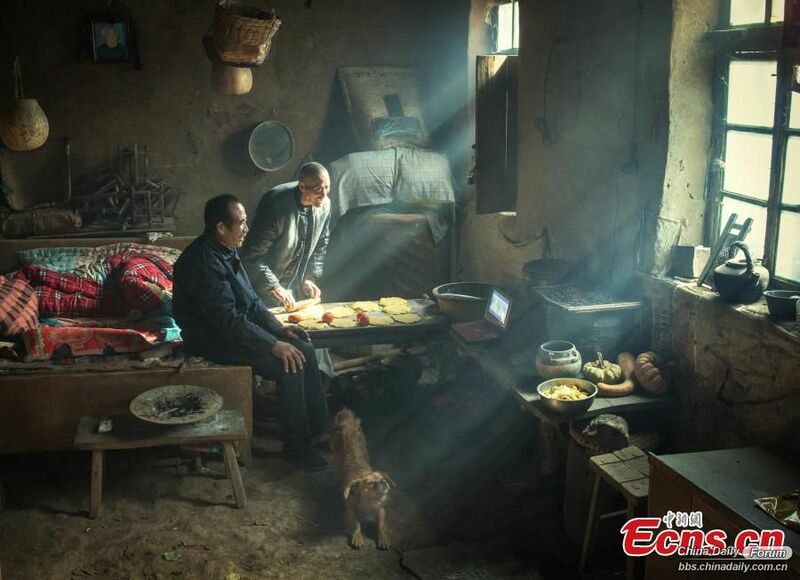 Photo taken by Li Huaifeng, third prize singles in the People category. 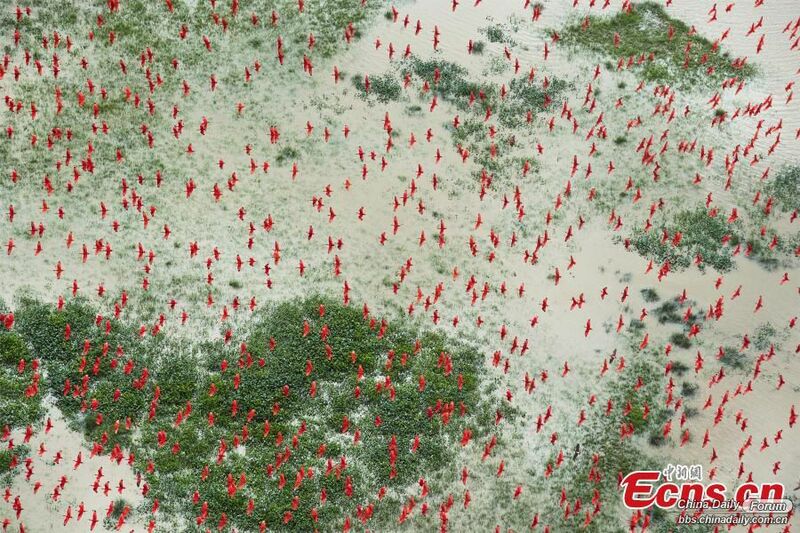 Scarlet ibises fly above flooded lowlands, near Bom Amigo, Amapá, Brazilian Amazon. Photo taken by Daniel Beltr, third prize stories in Environment category.